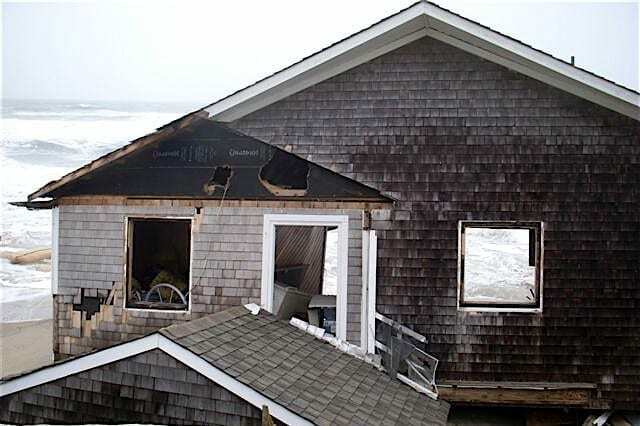 Most coastal damage is from storm surge and flooding, which are not covered by homeowners insurance. 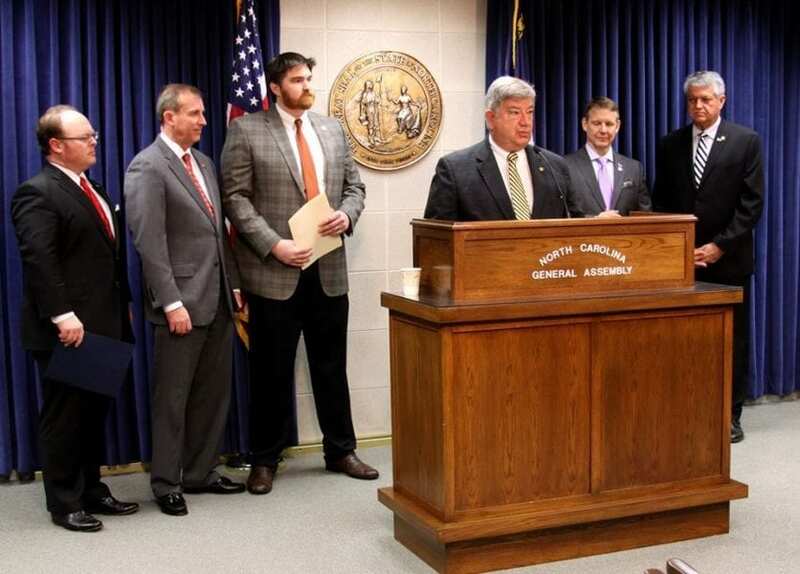 A public authority would be formed to issue bonds to help pay claims after a major storm and more precise modeling would be mandated to set property insurance rates under legislation unveiled today in Raleigh. The bill, which was sponsored by 1st District state Sen. Bill Cook and other senators, is aimed at helping to hold the line on premium costs, especially in coastal counties. A companion bill is being introduced in the state house. Willo Kelly, legislative liaison for the Outer Banks Homebuilders Association and the Outer Banks Board of Realtors, has been working for six years to force a change in the way insurance rates affect counties east of I-95. Kelly and others say that coastal counties are carrying an unfair load of insurance premium increases partially as a result of faulty underwriting models. She worked with Cook to craft the legislation, which addresses numerous other aspects of property insurance. The legislation takes aim at the type of models used to predict risk and set rates, Kelly said in an interview last week. It also would increase transparency in the rate-setting process and change how the North Carolina Insurance Underwriters Association handles premiums and reserves in the event of catastrophic losses. State Sen. Bill Cook with Insurance Commissioner Wayne Goodwin, Sen, Harry Brown (R-District 6), Rep. Chris Millis (R-District 16), Rep. Mike Hager (R-District 112), and Sen. Norman W. Sanderson (R-District 2). Under the current system, NCIUA collects about $400 million in premiums per year, 70 percent of which is from wind and hail policies. Wind and hail coverage is required on any commercial or residential property that carries a mortgage loan, and is also the only available resource available to homeowners to insure themselves against wind losses in hurricanes and tornados. All counties east of I-95, including inland counties such as Pasquotank and Perquimans, are in the “wind zone” — an area of 18 insurance territories that follow county boundaries where wind and hail most often must be bought as a separate policy in addition to the standard homeowners policy that covers fire and other perils. Currently the North Carolina Rate Bureau, made up of insurance industry representatives, researches and provides the state insurance commissioner data that reflects rate increases needed by the industry.Rates in eastern North Carolina are based on one, industry-generated catastrophic loss model.Losses are computed statewide, but companies may include expenses suffered out of state in their request for higher rates in North Carolina.The new bill would require insurers to provide two, rather than one model, and the models must be specific to North Carolina risk and be in some way tied to the North Carolina Building Code, which uses different wind speeds than the insurance industry does. It would also require insurers to provide aggregate data for each insurance territory in North Carolina that shows the number of policy holders, premiums collected and loss payouts by peril (fire, wind/hail and other). Kelly says this will allow citizens, lawmakers and the insurance commissioner to better determine if each territory is paying its fair share.One study Kelly conducted a few years back demonstrated that the 18 “wind and hail” counties over the last five years paid out an average 6 cents in losses for every premium dollar collected, while the territory that includes Asheville saw insurers paying out 22 cents per premium dollar. “This will demonstrate that, contrary to statewide opinion, the coastal communities are more than paying their fair share, are not being subsidized by the rest of the state, and in addition, where did that 94 cents of unpaid loss premiums go?” she said. Although public hearings on insurance rates are rare because state insurance commissioners tend to use their vested negotiation powers to pre-empt public hearings, current law restricts the commissioner’s actions if a public hearing is held.Now, the commissioner can only decide on a rate that falls between the current one and the new one sought by the insurance industry at the conclusion of a rate hearing.The new bill would give the commissioner the authority to lower rates below the current premium if evidence indicates that action is justified. Where wind and hail losses are concerned, North Carolina uses a tiered system of payouts in the event of catastrophic storm losses.The first line of defense is the $400 million collected in premiums each year.If those funds are exhausted, the next line of defense is the surplus fund (which builds up in years losses are small).That fund currently stands close to $900 million. If those funds are also exhausted, the next step puts insurance companies on the hook to loan the NCIUA $1 billion. The funding source after that is reinsurance up to a certain amount. When all funding resources are depleted, insurers would then lend the NCIUA funds to cover losses and they would be paid back by assessing an across the board 10 percent premium increase to every policyholder in North Carolina, whether or not they live in one of the 18 wind zone areas. In order to avoid having to cough up that kind of money all at one time, insurance companies buy their own insurance, usually from foreign-owned companies. Last year the NCIUA spent $150 million of those $400 million premium dollars to purchase reinsurance policies. The NCIUA has paid over $1 billion for reinsurance in the past six years. Reinsurance companies are not regulated under any federal laws, and their rates are based up worldwide losses. For example, the tsunami in Japan and concerns over climate changed have raised reinsurance rates paid by North Carolina insurers. The new bill would eliminate or reduce the need for reinsurance by allowing a new authority to float bonds to cover catastrophic losses once all other funding sources are exhausted. In this case, insurers could add more funds to the surplus, as a result of reduced reinsurance costs, which in turn would lessen the amount of bond money the state would need to borrow if the surplus is exhausted. The bond would still be repaid by the 10 percent statewide surcharge already in place, but if the surplus builds as anticipated, all state policyholders would see a reduced risk that the 10 percent recapture would kick in, or if it does, would require far less funding from the bond than the current scheme. The bonds would also be tax-free for investors. Unknown to most of us, insurance companies may include in their policy renewals a “consent to rate” form that policyholders are asked to sign to maintain coverage.Typically, the form shows an estimated rate increase, for example, 1.2 percent that can be applied to the policy over the next year.In reality, the form, which is only signed once, allows insurers to raise rates by a maximum of 250 percent as long as you hold the policy and if approved by the insurance Commissioner. The new law would require insurers to state clearly that their renewal rates are in excess of applicable North Carolina rates and the insurers must obtain a new signed consent form upon each renewal or new endorsement. One section of the bill tightens up the types of models and the data disclosure used by insurance companies when requesting rate increases. Finally the bill sets up a state Property Insurance Ratemaking study to determine the role and proper function of the state Rate Bureau, including eliminating the bureau, which is a state-created entity that provides services to the insurance industry, including studies and advice on setting premiums and risk modeling.North Carolina is the only state that currently has a Rate Bureau that, in essence, works on behalf of the entire insurance industry and represents that industry before the Insurance Commission when requesting rate increases.